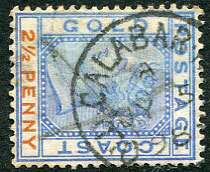 dated B/MR 16 95 on Niger Coast QV 2½d. 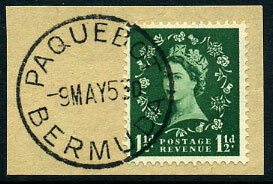 arrival dated 14.4.02 on QV 1d vermilion. 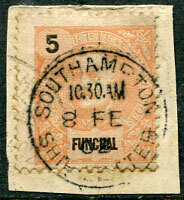 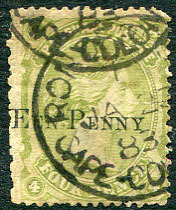 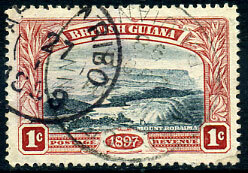 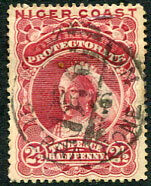 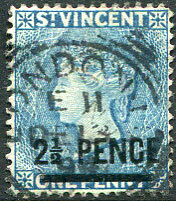 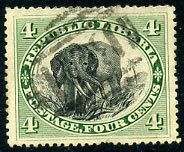 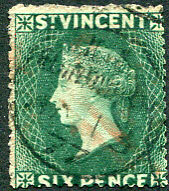 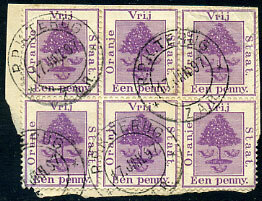 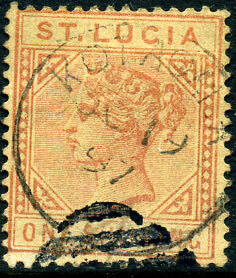 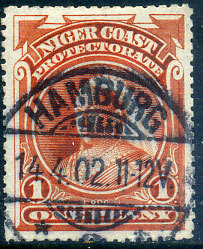 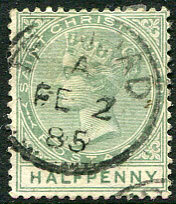 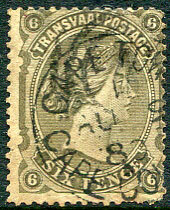 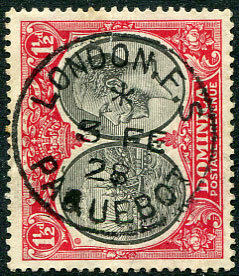 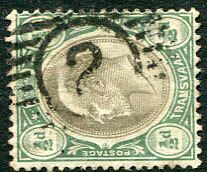 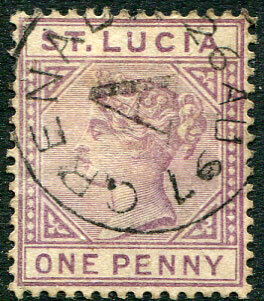 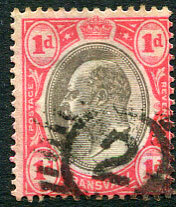 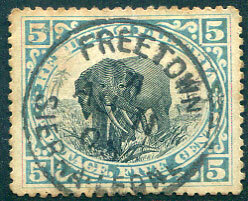 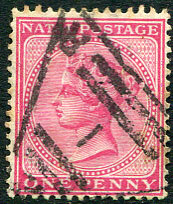 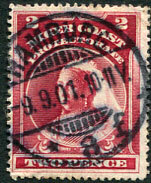 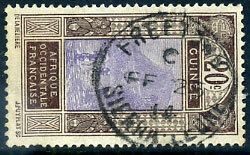 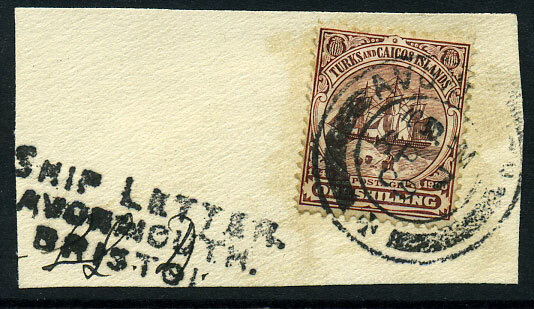 arrival, probably applied Gold Coast, on 1907 KE7 ½d (SG.99). 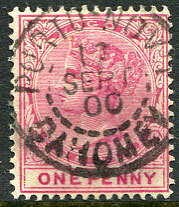 arrival dated OC 16 06 on KE7 1d (SG.86). 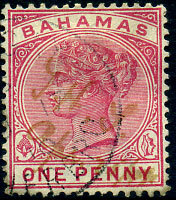 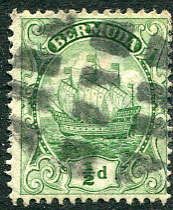 (145.05) dated C/(J)U 17 10 on manuscript cleaned Bahamas QV 1d (SG.47). 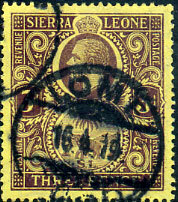 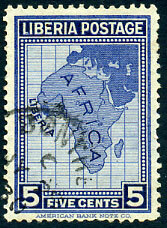 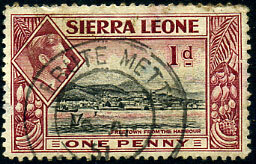 (D10) arrival dated 16 AP 51 on Sierra Leone KG6 1d (SG.189). 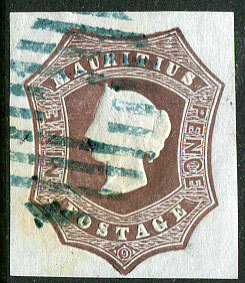 applied on arrival being "loose mail" carried in the captain's bag placed in the post office on the first port of call on QV 1d rose-red (SG.5).